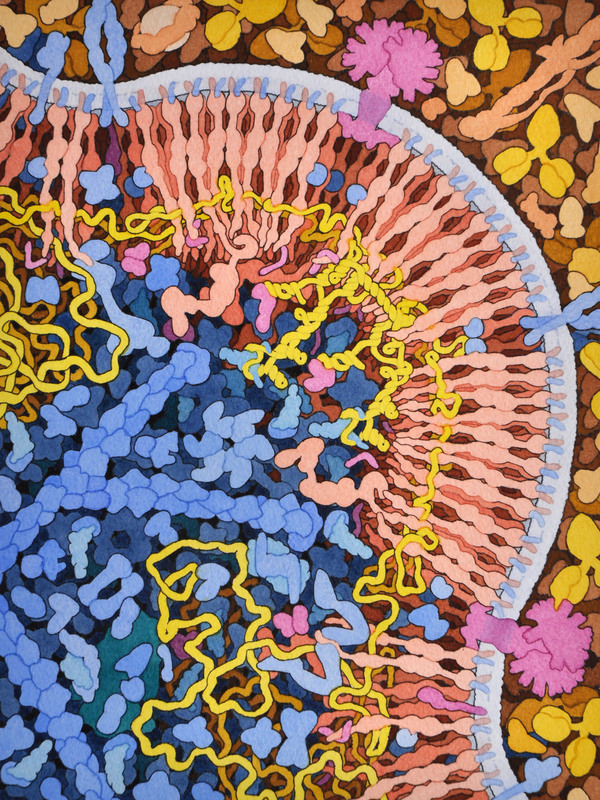 HIV gag protein and gag-pol form arrays on the cell surface, capturing two copies of HIV genome (in yellow), which dimerize through a specific sequence and bind to a cellular transfer RNA that will act as primer for reverse transcription. Viral proteins Vpr and Vif are also incorporated. Several cellular proteins of the ESCRT system are involved in the process of budding.